Takami, loosely translated as ‘Higher than the rest’ is Mazda’s new top of the line luxury variants. The concept is that any model bearing the Takami name is part sports vehicle, part luxury cruiser. 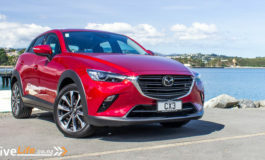 These variants are currently available across the Mazda6, CX-3, CX-5 and our current review vehicle the CX-9. Will the Takami variant make this CX-9 stand out from the rest? 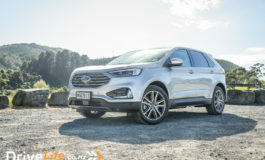 The latest range has done away with the FWD version, so now all 3 models are AWD. It starts with the GSX ($56,695), then to the Limited ($65,295) and finally the Takami ($67,895) our test vehicle. All share the same engine – the all-new 2.5 SkyActiv-G turbo four-cylinder. There are no diesel options for the CX-9 range. This engine offers 170kW of power, 420Nm of torque and a combined fuel consumption rating of 8.8 litres per 100km. The GSX model is pretty well specced, with a bit more in the Limited and all of the goodies in the Takami. As standard, the GSX gets full leather, 3-zone climate AC, cruise control, electric and heated front seats, driver’s electric lumbar adjustment, voice command system, 6-speaker audio with BlueTooth, a leather steering wheel, an 8” touchscreen central display, keyless entry and start, SatNav, dual exhaust tips, DRLs, electric park brake, Hill Launch Assist, automatic LED headlights and auto wipers. The Limited goes further with an electric tailgate, electric tilt/slide sunroof, adaptive cruise control, a 12-speaker 294-watt Bose audio system, the option of ‘natural stone’ leather, 2 memory positions for the driver’s seat, Adaptive Headlamps, proximity keyless entry, heated side mirrors, rear privacy glass, lighting signature tail lamps, rear pull-up windows shades, Active Driving Display (HUD) and one-touch power windows front and rear. That’s quite a bit of extra kit for the $7K over the GSX. The Limited model also has an incredible amount of driver assistance and safety features; Blind Spot Monitoring, Rear Cross Traffic Alert, Smart City Braking, Radar Cruise with Stop/Go function, Forward Obstruction Warning, Smart Brake Support, Lane Departure Warning, Lane Watch Assist, Driver Attention Alert, and a 5-Star ANCAP rating. 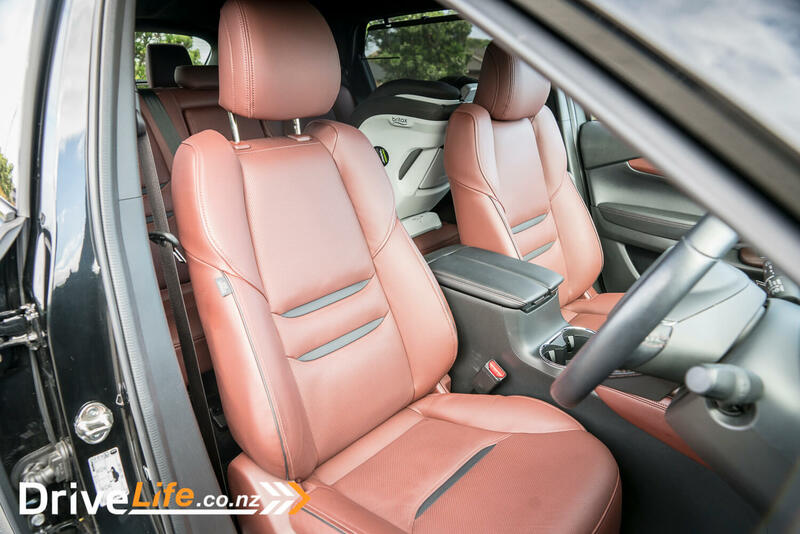 The Takami range comes complete with 3 years free Servicing, a 5 year factory warranty and a 5-Star ANCAP Safety Rating to keep you and your passengers safe. 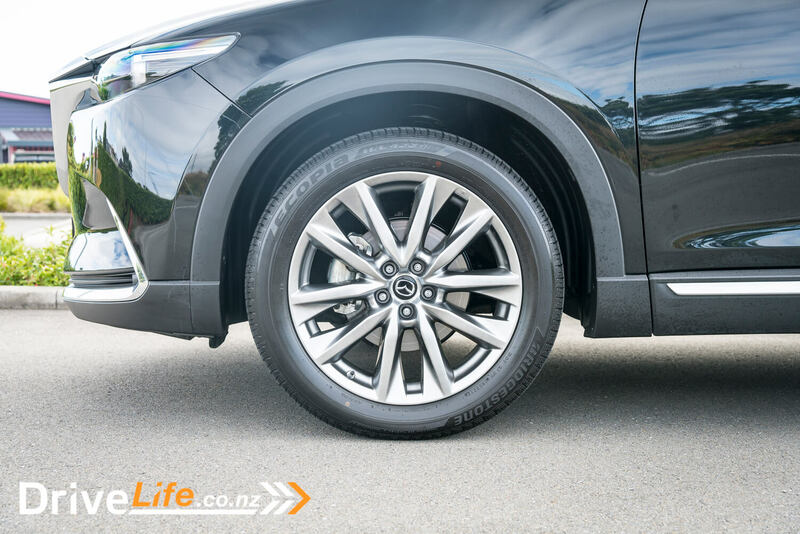 There is no mistaking the Mazda CX-9, it’s a bit of a beast. Slab faced with a chiseled chin, it’s ready to take on the very worst that the everyday family can throw at it. I loved the shape back when it was launched in 2016, it’s aged well and it still looks great today. Most of the team at DriveLife prefer our Mazdas in the stunning Soul Red Crystal Metallic paint, sadly this review car has Jet Black Mica. It still looked great, but it’s hard to beat that amazing red. On the face of it, there was really not a lot that indicated this model was the new Takami spec. The visible difference can be seen between the GSX and the Limited, with larger wheels, different headlights, chrome trim running boards and chrome trim front bumper. From what I could see, there was nothing outside the CX-9, not even a badge to indicate that this was a Takami. I was curious to now why Mazda would do this, since they identify the Takami variant as their top spec that’s higher than the rest. I am generally a simple man when it comes to interior colour selections. Black is my go to, with some white or tan which both heavily depend on the vehicle. The Takami seems to only come with one leather option, Nappa Leather Auburn. Auburn as a hair colour is nice, but as a leather interior colour, not so much. Depending on the time of day or the sun light direction, it looked like light brown or off red. I did not like this colour, my wife did not like this colour and most people who got in started the conversation with, “Oh, thats different”. I was unsure if you can select the other trim levels for the Takami, however it would beat the purpose as the Nappa Leather option is only available for the Takami in Auburn. Moving past the colour, the Nappa Leather was really nice to touch, soft and comfortable. 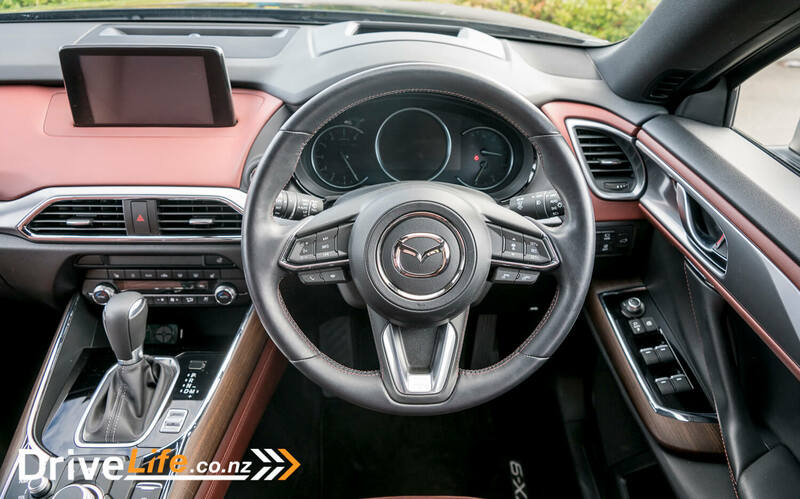 Since the full review of the Limited Fred did back in 2016, 2016 Mazda CX-9 – Car Review – Super Smooth SUV not much has changed inside the the CX-9. The only visible differences are the wood inlay and digital driver’s dash that come in the Takami. My time with the CX-9 was never arduous, once inside you were always comfy, had enough space not to feel cramped and a safe feeling. This safe feeling came from the size of the CX-9 and how far everything around you seemed to be from the outside world. I can see why they have no problem selling them; feeling safe will be high on the list of family criteria. 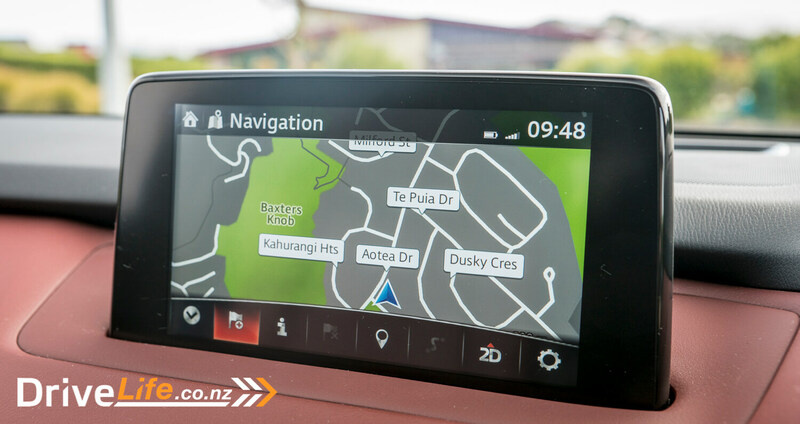 The media screen has since become a bit dated, smaller than most seen in other SUV’s and not as well integrated. The UI is also a bit clunky at times, some of this was due to not being used to it, but some was down to the interactive design, which could be improved. The screen size didn’t matter too much, only when using the Satellite Navigation. I always felt that a more square screen would have helped to show more roads ahead compared to the widescreen style its has now. The sound system in the Takami was impressive, the 12-speaker Bose audio system in the Limited is fantastic. My own Audi has a Bose system and I love it’s clarity and volume. The system in the CX-9 had more speakers than my Audi, and sounded great, if not better. You get some good media options with the CX-9: USB, phone, radio, Aha, Pandora and Sticher. Fred never liked how you got in and out of the third row during his review. However things have changed, which means Fred was not the only one who had issues with it. Now getting in and out of the back is a bit easier. The seats don’t flip forward, but moving the upright of the middle row back and seat forward is now a much easier action. Even for a big guy, I didn’t find it too bad getting in and out of the back row. Leg room is still the same, not ideal for taller people, but I guess most will use this row for kids. Middle row legroom is much better, as you could slide the seat forward anyway, on a long trip. On the middle row, the rake is adjustable so that’s one bonus for those long trips. As a family SUV, the CX-9 was one of the better ones we have tested. Even with the baby seat in the back, the front passenger seat didn’t have to move that far out of the way unlike most SUV’s. Add to this the ability to slide the second row, gave my wife and the baby even more room in the back for baby bags, toys and the like. My wife even mentioned that we didn’t even have this much space in the BMW X5. 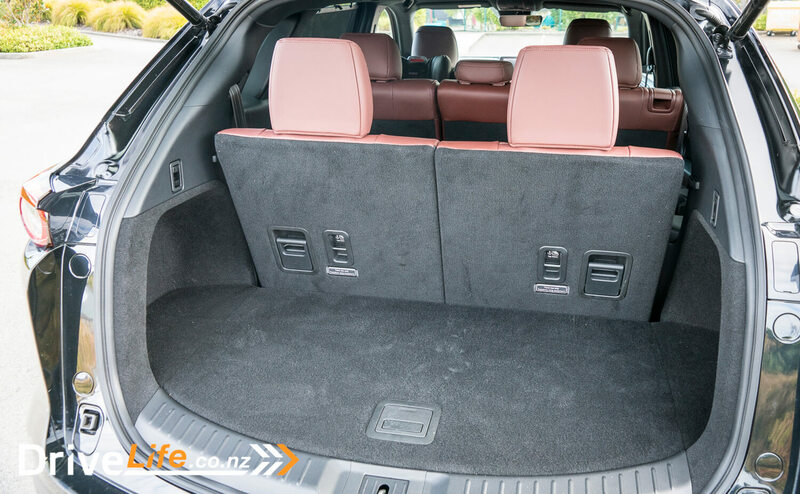 Boot space is always a challenging one for us with 7-seat SUV’s. Is there much of a boot with all rows in use or do you sacrifice space for seats? In the CX-9 with the third row up, the boot is reduced to 230 litres, and smaller than the previous model. With the third row down the boot space grows to an impressive 810 litres. With the middle row down the rear space becomes a whopping 2016 litres. Even though the CX-9 is a bit of a monster in scale, you quickly forget that its powered by a 2.5-litre 4 cylinder engine. Surely it needs more power than that, but this engine pushes out 170kW of power and 420Nm of torque. So the answer is clear, you don’t need more power, it’s already there compared to the 321Nm of torque from the previous generations V6 engine. With a smaller more efficient engine, comes smaller fuel consumption figures. The advertised figures are 8.8 litres per 100km, over the period of my review the best I achieved was 10.0. Not bad from a small engine in such a big vehicle. 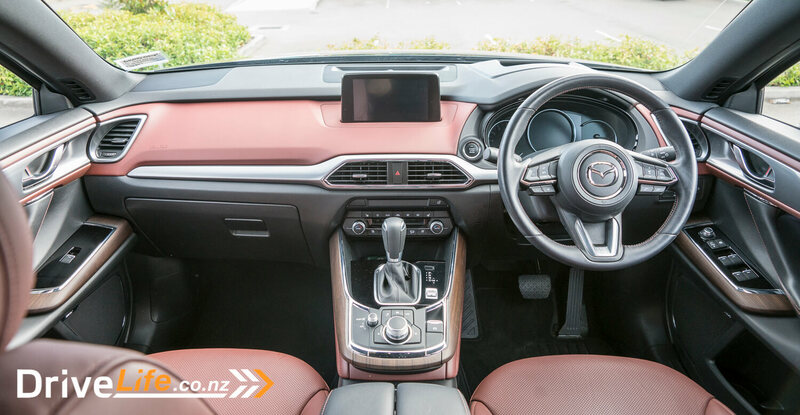 The performance figures are not affected much from this engine, getting the CX-9 to 100km/h in 8.6 seconds, which is not too shabby for a two-ton 4-cylinder SUV. On top of that, it is incredibly smooth. So smooth you think it’s hiding a V6 under the hood somewhere. Got to love this engine. Noise level in the cabin is minimal – wind noise is almost non-existent, suspension noise and general NVH is top class. On the motorway, it is so quiet, making it easy to talk to anyone, regardless where they are sitting inside. Daily driving the CX-9 is so easy, the engine and gearbox make this machine effortless to use. You never feel like you need more power, it’s already there, ready to get you going. The automatic has a Sport mode, but as is common with cars with this much torque, it’s all a bit pointless. 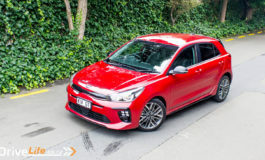 Sport mode holds the gears longer, which seems great but when maximum torque is at 2,000rpm it’s not going to change the driving feeling as Sport mode would indicate. The AWD system is great, no matter the weather thrown at this beast, it just kept doing the daily run. 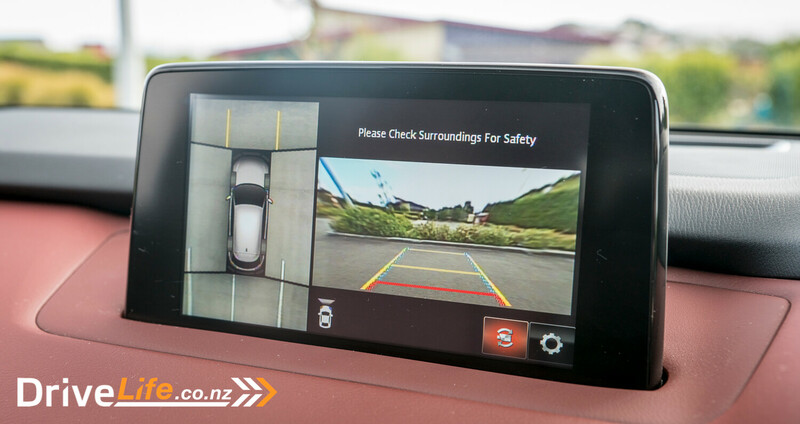 General driving is not affected by the size of the car – you don’t feel like it’s as big as it is. Handling of the CX-9 was pretty good – small body roll through the corners, but still good and better than you would expect for the size and weight of this SUV. Fred had found the steering heavy on the open roads, I have to say I did not experience this at all. It was not heavy or light, it just felt right, or what it should be. Maybe this has been updated since the time we tested the Limited model. I only managed 400km in the CX-9 before it went back. It average 11.5l/100km from a 50/50 mix of open road and around town. What surprised me most, was that the fuel level indicated half a tank to go. I could only hope this would deliver another 400km. The CX-9 had always placed itself well in the market, with a high-quality product for a really good price. However, since the Takami is touching on $70k, it opens up other options that may not have been available for lower budgets. The CX-9 is a great vehicle; its big, spacious, has seven seats and does not cost the earth. I really like it, it’s got a great shape and feel to it. It also feels big and solid which makes you feel safe. The only downside to the Takami, is the increasing price, knocking on the door of $70k. It does offer more options for this additional cost, which are good value. If you can afford the Limited, then the Takami might be worth pushing the budget out for. However, if your budget only allows for the GSX, it’s a hard sell to make the jump of $8,200 to the Takami. 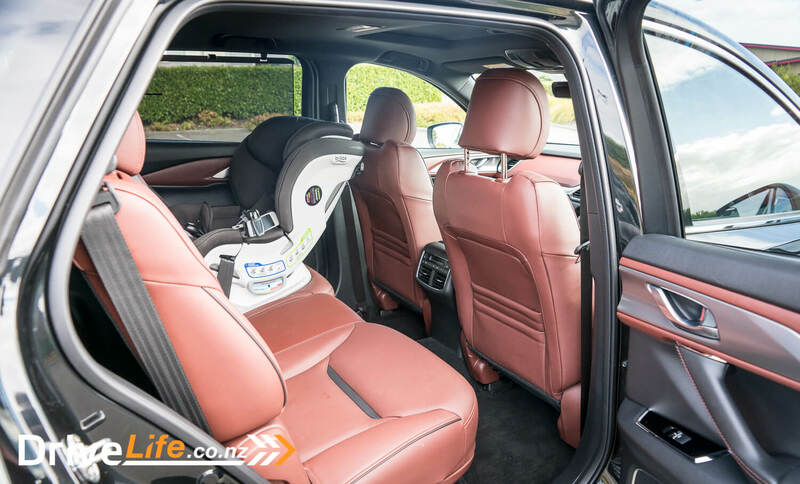 It’s a no-brainer option to try if you’re in the market for a seven-seater SUV, but I am not sure that the Takami will be for everyone.